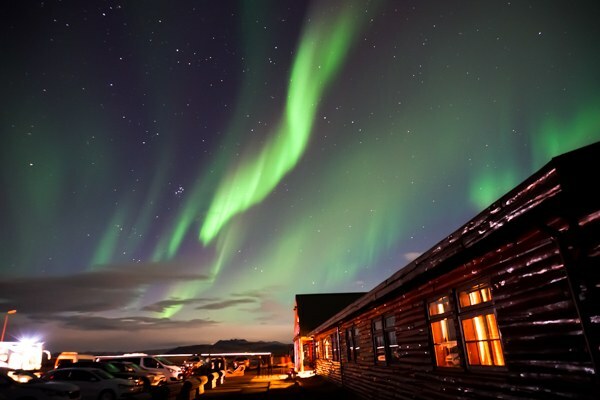 The Best Time to See the Northern Lights in Iceland – The Discoveries Of. Mention Iceland and I guarantee that the Northern Lights are one of the first things you think of. But how easy is it to see the lights? And when is the best time to see the Northern Lights in Iceland? 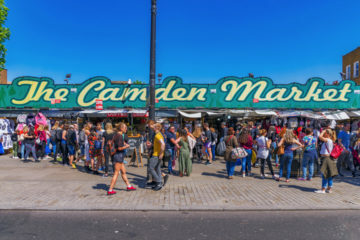 Read this in-depth guide – with everything you need to know to plan your trip. I’ve just returned from a visit to Iceland – my second this year. There’s something about this wild and rugged island that I just cannot resist. Much as I loved my trip in May, there was one thing missing… the Northern Lights. May, along with the other summer months, is the WORST time to see the Northern Lights in Iceland as the sun doesn’t really set and the sky is never dark enough to witness the natural phenomena. 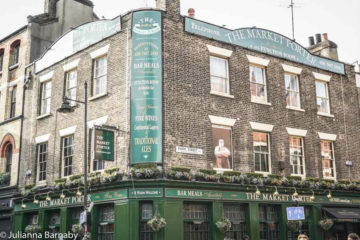 No worries – I knew that before I went and I had an absolute blast. Fast forward a few months, and I decided to go back to Iceland, and stay in Iceland’s leading Northern Lights hotel, Hotel Rangá, to research more of my Iceland travel guide series and hopefully, HOPEFULLY, to see the Northern Lights in Iceland. Yes! I saw the Northern Lights, not one, but two nights in a row. Total win. Sure, I was incredibly lucky to get such a strong showing of the lights. At one point the whole sky burst into a dancing parade of greens, pinks and yellows and my head almost exploded with wonder – but it wasn’t all luck. 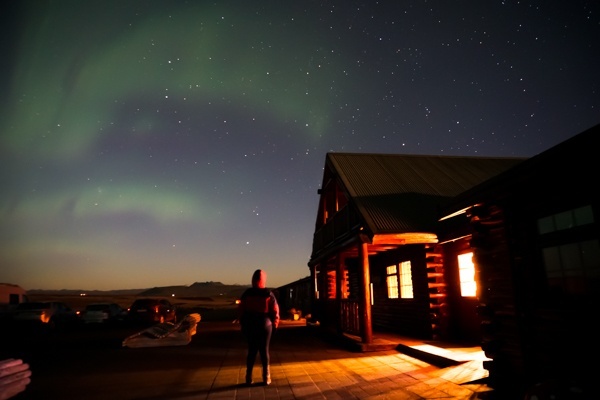 If you are planning a trip to see the Northern Lights in Iceland there are a few things that you should know before you book. There’s never any guarantee that you will see the Northern Lights… but knowing this information will help you maximise your chance of viewing the aurora borealis. What are the Northern Lights and Where and When Can I See Them? The Best Waterfalls in Iceland + a Handy Iceland Waterfalls Map! How Much Does it Cost to Travel in Iceland? 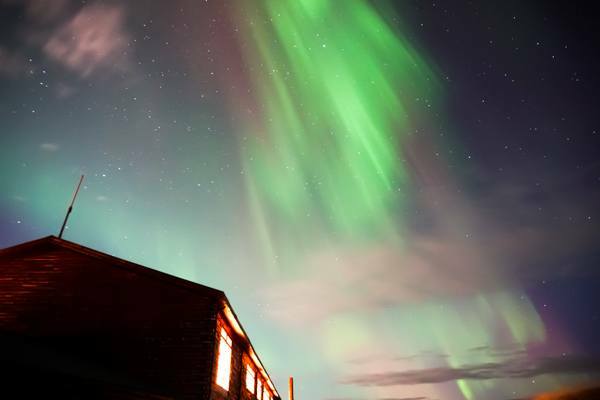 Where in Iceland Can You See the Northern Lights? When do the Northern Lights Occur in Iceland? What is the Best Time of Year to See the Northern Lights in Iceland? Which is the Best Month to see Northern Lights in Iceland? 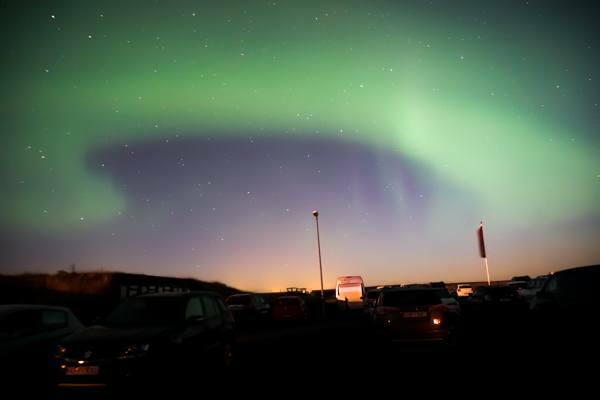 Why are September and March The Best Time to Visit Iceland for Northern Lights Viewings? What Else Should I Know About Seeing the Northern Lights in Iceland? The best time to see the Northern Lights in Iceland is between September and April each year. The Northern Lights (formally called the aurora borealis) are photons (light particles) created by the reaction between Solar Energetic Particles (SEPs) and oxygen and nitrogen molecules in the earth’s atmosphere. The sun hurls out SEPs in solar flares during periods of solar activity. Most of these particles are deflected by the earth’s magnetic field – but the field is weaker in the areas surrounding the North and the South poles and some solar particles make it through the the earth’s atmosphere. Those that do collide with oxygen and nitrogen molecules in the upper atmosphere. The result? The Northern Lights. Although the earth’s magnetic field is weaker at the poles, it can also be affected by geomagnetic storms that are caused by solar wind shock waves. Geomagnetic storms have the effect of amplifying the aurora and increasing its visibility. For example, there was a particularly strong storm early last September that meant I could see glimpses of the lights from London despite thick cloud coverage. 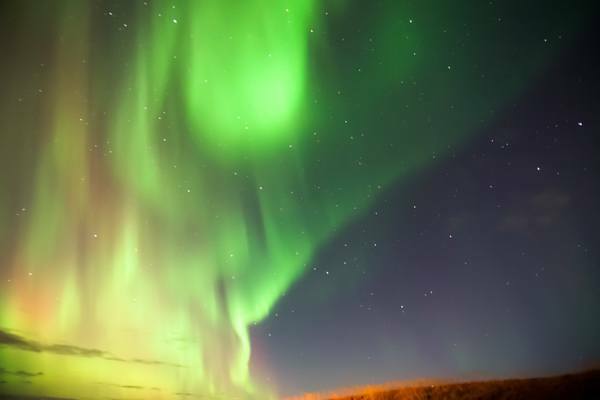 Pay attention to the geomagnetic storms – they’re important when it comes to picking the best time to see Northern Lights in Iceland. You can absolutely see the Northern Lights in Iceland. Iceland is one of the best places to see the Northern Lights in the world. You can see the Northern Lights pretty much everywhere in Iceland. They’re best viewed away from light pollution, so you want to try and get away from Reykjavik or any towns but even then, you can see them in Reykjavik during strong displays. Generally, the best time of year to see the Northern Lights in Iceland is between September and April. You can sometimes see the aurora in Iceland in late August, but this is relatively rare. This might come as a bit of a surprise but the best months to see the Northern Lights in Iceland are September and March. When I said I was travelling to Iceland and hoping to see the aurora in September, a lot of people looked at me like I was crazy. “Errr, yeah, sure” was the most common response, with a few “Well there’s lots to see in Iceland anyways” (translation: not happening lady but I don’t want to crush your hopes so I’ll politely change the subject) thrown in for good measure. You see, many people think that Northern Lights only come out in the winter months but that isn’t true. Do away with that fallacy right now. It is true that you need dark nights to see the Northern Lights. So you can understand where the idea that winter is the best time to see the Northern Lights in Iceland comes from. The nights are longer in winter so you’d think that you have more opportunity to see the Northern Lights. Right? There are a number of reasons why September and March are the best months to see the Northern Lights in Iceland. Let me count the ways. The first reason why September and March are the best months to see the Northern Lights in Iceland is that displays of the aurora borealis tend to be particularly strong during the Vernal and Autumnal Equinoxes (which occur in March and September respectively). Don’t believe me? 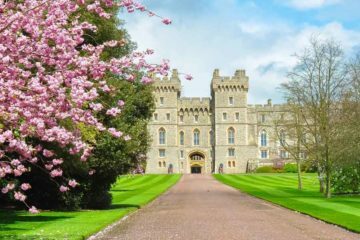 Check out the discussions in this piece from Travel & Leisure and this article from Wanderlust Magazine. I also spent a lot of time talking to Hotel Rangá’s in-house astronomer Sævar Helgi (what a job!) and he agreed. 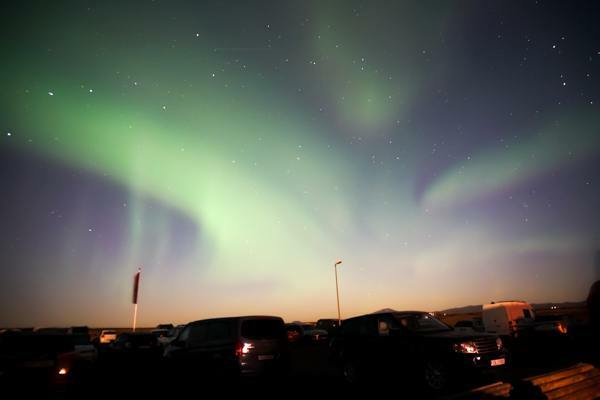 The Spring and Autumn equinoxes are generally good times to see the Northern Lights in Iceland. Boom. Why are the Spring and Autumn Equinoxes particularly good times to go aurora-hunting? 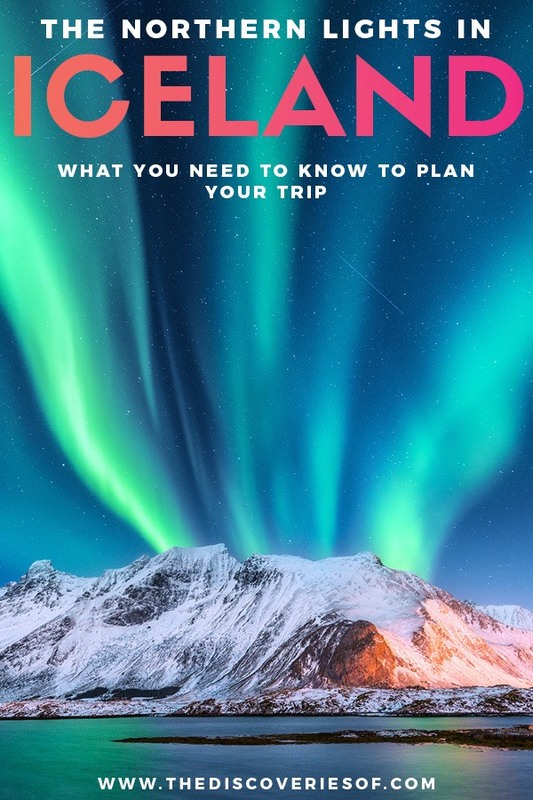 I won’t get too technical because I’m not an astrophysicist and I suspect that you’re just trying to plan your trip, not become an expert on the aurora borealis. The Semiannual Variation of Great Geomagnetic Storms (THRILLING READ guys, THRILLING – joking. Though you can now crack out the word equinoctial in everyday conversation and watch everyone’s head spin). Remember when I said that Geomagnetic storms equates to increased aurora activity? Oh yeah, you’re getting it. This year’s Autumn equinox was on the 23rd September – in other words, one of the dates I was in Iceland. Was it an accident that I just so happened to be in Iceland during the Autumn Equinox? No, it most certainly wasn’t. You are a long way north people, and Iceland’s winters can be bitterly cold. So very cold. Contrast that to September, where the average nighttime temperature in Iceland is much warmer and you’ll start to understand why spending hours and hours staring at the sky in the hope of seeing the lights might possibly be a nicer task overall in September than in the midst of winter. The one thing that is guaranteed to scupper your chances of viewing the Northern Lights is a night sky blanketed in thick, unbroken cloud. How are you going to see the aurora borealis if you can’t see the sky? The short answer is, you can’t. Just so happens that of all the months in the Northern Lights season in Iceland (September to April), September tends to be the least cloudy. Looks like it’s September for the win then, with March coming a close second. 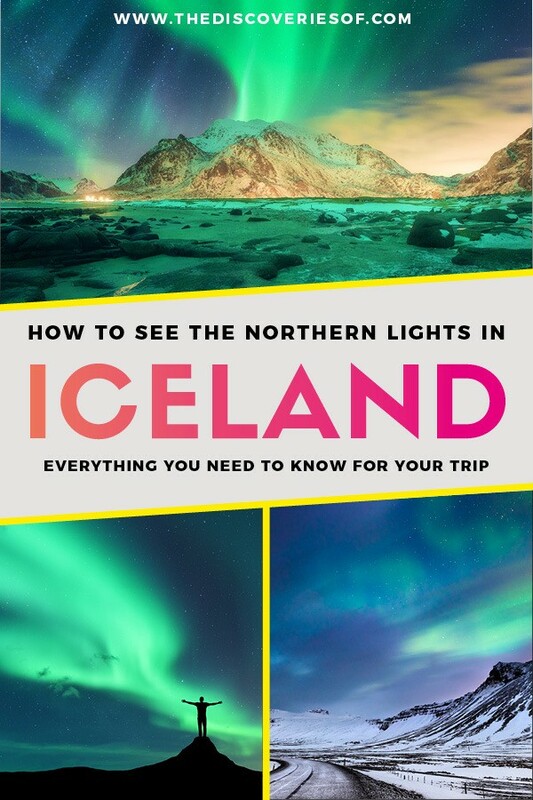 So we know that the best time to go to Iceland for Northern Lights is September to April and the best month is September (closely followed by March), but what can you expect if you go to see the Northern Lights in Iceland in other months? The Northern Lights in Iceland in September tend to be good thanks to the autumn equinox and less cloud cover. It also has the least rainfall of any month in Iceland’s Northern Lights viewing season. This is the best month to see the aurora. October is an OK month to go Northern Lights hunting in Iceland as the nighttime temperatures are still relatively high. However, October is Iceland’s wettest month, so come prepared with rainproof gear. Rain also equals clouds, so again, not great. The weather gets colder in Iceland in November but the night gets longer – so the aurora are visible for a longer part of each day should they appear. December should be the best time to see the Northern Lights, and it would be, if we went on daylight hours alone (around the winter solstice southern Iceland has around 4 hours of daylight and the north even less). But statistically, there is less aurora activity in December than during September and March. The weather is also colder. The outlook for seeing the Northern lights in Iceland in January is pretty much the same as for November and December but it’s fractionally colder and quite a bit wetter (and cloudier). Things start to look up again in February. Although the daylight hours start to lengthen, it’s a bit warmer and less rainy than January. March is the second-best month for seeing the aurora borealis in Iceland. The earth’s position during the Vernal Equinox tends to lead to stronger displays of the Northern Lights. Still very cold though. You can still see the Northern lights until mid-April. After mid-April, the nights are not dark enough to see the lights. Can I See the Northern Lights if I Visit Iceland in May? The sun never dips low enough under the horizon for there to be a truly dark night sky in May. Same for the remainder of the summer months until September. Aurora activity isn’t the same from year to year. The sun goes through an activity cycle roughly each 11 years. Every 11 years, it will reach the Solar Maximum, which is when solar activity is highest. You tend to see the strongest aurora displays in the two to three years on each side of the solar maximum. The last solar maximum was in 2014 – so we’re out of the period of highest solar activity – but as my photos show, you can still get some brilliant aurora displays anyway. You have a lot of options when it comes to planning your visit to see the Northern Lights but I stayed in Hotel Rangá and would very much recommend it. 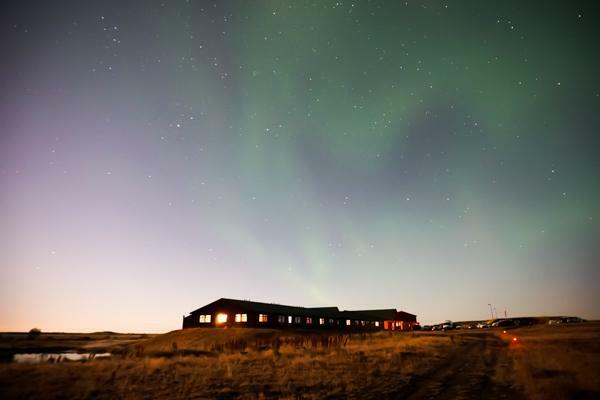 Hotel Rangá is well-known as one of Iceland’s best Northern Lights hotels thanks to a combination of a relatively remote (but easily accessible) position in the south of the country and stellar five-star accommodation. But what about seeing the Northern Lights? Hotel Rangá is situated in an area of low light pollution, which equates to dark night skies and great potential to see the aurora. So far, so good. There are two other things that really make this hotel stand out too. Can you spot the observatory? 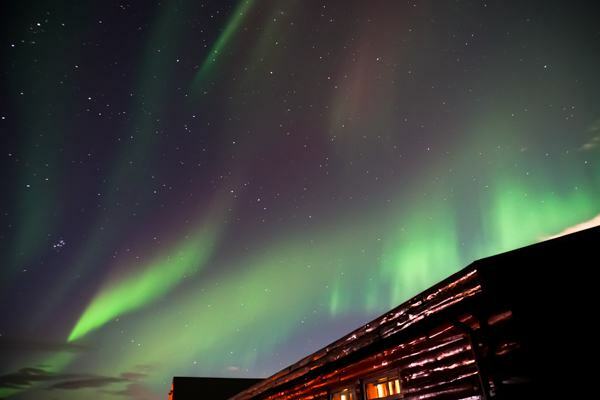 One is the hotel’s private observatory, which has a retractable roof and an in-house astronomer to talk you through all aspects of the Icelandic night sky – including the Northern Lights. The observatory has the most advanced telescopes in Iceland that are accessible to the public (well, the hotel’s guests). The astronomer guides you through the planets, constellations and galaxies you can see. Meaning there’s always something special to see even if the lights don’t make an appearance that evening (as long as it’s not too cloudy). Rangá also offers a special Northern Lights wake-up call. What is this devilry you ask? Simply tap the button on your in-room phone before you go to bed at night and they’ll wake you up if the Northern Lights come out to play. Beats standing for hours in the cold or sitting in a coach right? I will 100% acknowledge that as I get older, I need sleep in a way I didn’t in my teenage years, or even my twenties for that matter. After one night of staying up nearly all night to see the lights and then getting up early the next day to go and explore, I was zonko. The next night, I watched the lights for a few hours until they disappeared at 1am then gracefully (and gratefully) retired to bed after pushing the button (good time for a Sugababes reference? Maybe not…). The phone rang after a couple of hours – the lights were back out and in action. I stumbled, bleary eyed and heavy footed, but I was really glad I did, it was a great show. Even if I did trip myself up and gouge a section out of my shin #clumsy. 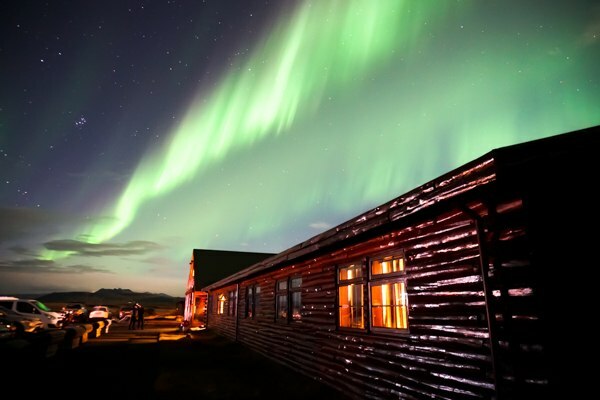 If Rangá is a little out of your price range, or you want to base yourself in Reykjavik for your stay in Iceland, you do have the option of taking one of Iceland’s many Northern Lights tours. Most tours will let you return night after night until you see the Northern Lights, but it’s not the same. Planning on taking a Northern Lights Tour? Take a look at these. 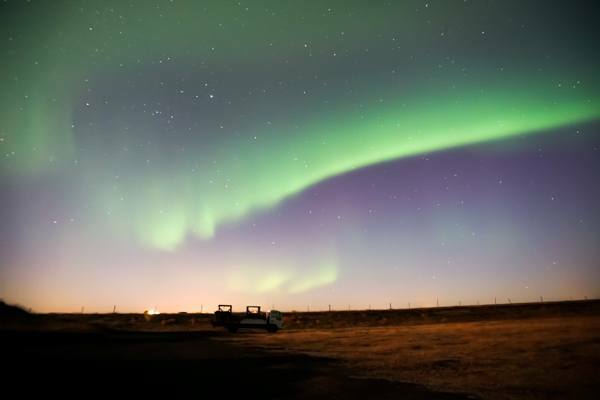 Is there a Northern Lights Forecast for Iceland? Yes! The Icelandic Met Office include a Northern Lights forecast on their website. 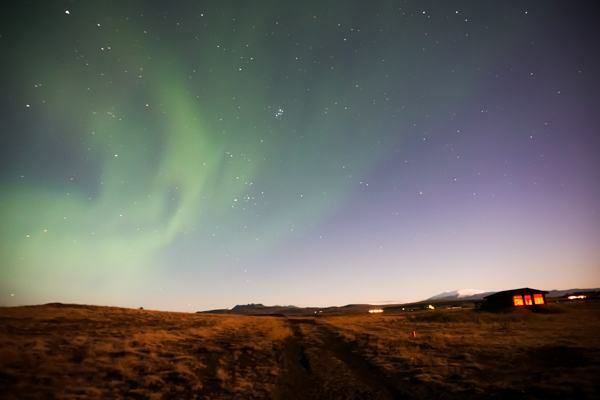 What about an App for the Northern Lights in Iceland? Useful as the Icelandic Met Office’s website and aurora forecast is, I actually ended up using the Aurora app on my phone as I found it easier to understand and navigate with its real time Northern lights tracker. It should go without saying that both the app and the website are forecasts – not facts. Like a weather forecast, they don’t always get it right. During my stay, the night both the app and the Met’s aurora forecast originally predicted to have the lowest chance of seeing the lights (Friday) actually was the most spectacular, with a full display that totally lit up the sky. Still, both the app and the website are useful guidelines for what to expect aurora-wise over the short term. So there we are. The best time to see the Northern Lights in Iceland. I hope that you get to see the aurora during your trip. A strong display is an incredible natural phenomenon – but even a weaker showing is an experience you won’t forget. What great tips! I had a trip to Iceland planned that got canceled so I’m eager to replan and see the Northern Lights. I’ll definitely use some of this info to come up with a better plan. Thank you Corinne! I’m really glad that you enjoyed it and found it useful. I have my fingers crossed that you see them when you do! 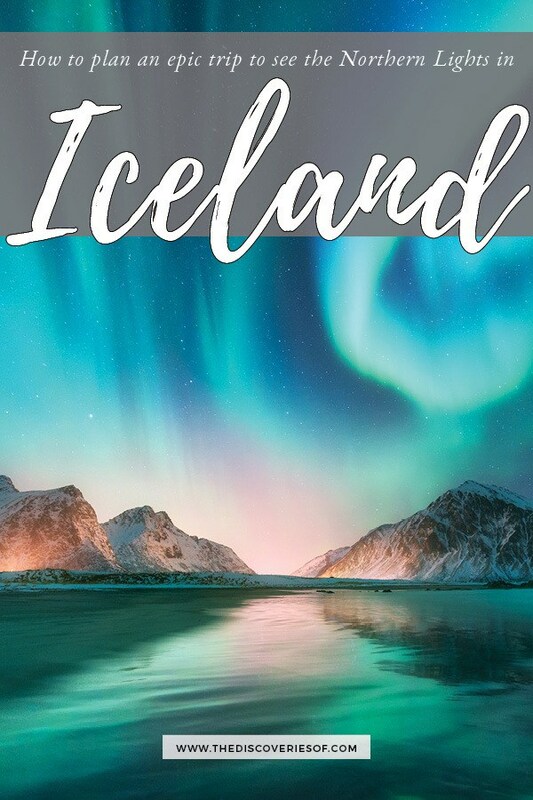 Thanks Brianna – it was such an awesome experience and there’s always more reasons to go to Iceland right?! I haven´t been to Iceland yet but after seeing your pics I am even more keen. It must be so breathtaking. Thanks for sharing. 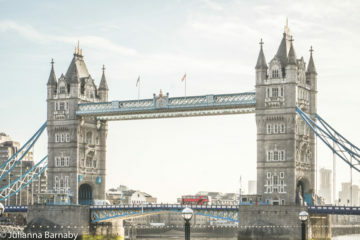 It is completely breathtaking – I hope that you get there soon! Thank you for reading. Literally looks amazing! The green colour on the pictures is so good. I’ve fancied Iceland for a while but never really been bothered about the Northern Lights…might need a rethink on that! Thanks Craig – I’m so glad that you liked it. Honestly, it was an incredible experience. I love Iceland full stop but the Northern Lights were totally the icing on the cake. Hope that you make it there soon!